Sauces There are 75 products. Chicken Jerk Marinade (325g). An easy to use ready mixed masala paste, reddish orange in colour. 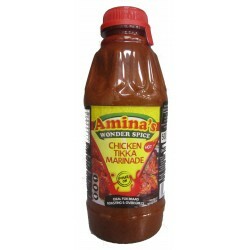 Made from a distinct blend of spices, this marinade will provide a tasty kick to your chicken dishes! 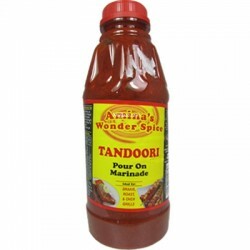 Hot Tikka Pour-On Marinade (500ml). 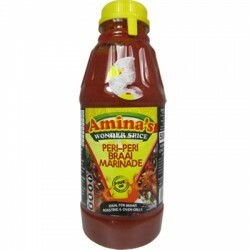 South Africas favourite marinade - and we can see why! This Tikka Masala paste blends authentic spices with lemon and coriander to create a simply tantalising version of Britain’s most popular curry. Lemon and Herb Marinade (325g). An easy to use tangy marinade paste made of a variety of herbs and lemon juice. Simply mix the marinade in with chicken or meat and allow to sit. Tastes great barbequed too! 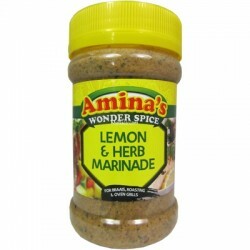 Lemon and Herb Flavour Pour On Marinade (500ml). An easy to use tangy marinade paste made of a variety of herbs and lemon juice. Simply mix the marinade in with chicken or meat and allow to sit. Tastes great barbequed too! 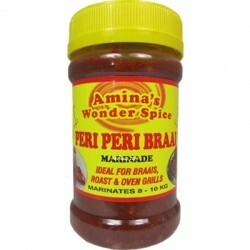 Peri Peri Braai Marinade (325g). An easy to use ready mixed masala paste. 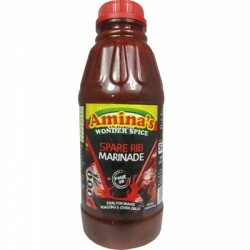 Made from a variety of chillies, this spicy marinade is best for barbequed meats. Peri Peri Braai Pour On Marinade (500ml). An easy to use ready mixed masala paste. Made from a variety of chillies, this spicy marinade is best for barbequed meats. Portuguese Pour On Marinade (500ml). 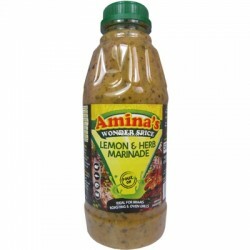 Spicy orange ready-mixed marinade with lots of different herbs, fresh chillies, garlic, and lemon juice. Typically hot peri-peri flavour. Spare Rib Pour On Marinade (500ml). 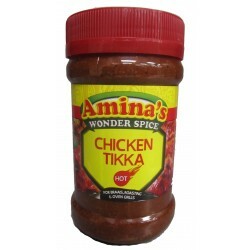 A ready-mixed dark reddish-brown marinade with a distinct flavour perfect for BBQs! 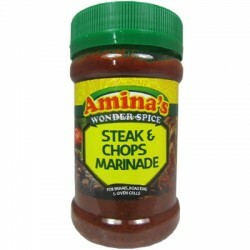 Steak and Chops Marinade (325g). Ready mixed masala paste, dark brown in colour. Spicy with a hint of barbeque flavour, a taste of sweetness and lemon. Ready mixed masala in a wet paste – reddish in colour. Packed in honey jar bottles of 370g. A blend of spice specifically designed for open fire or charcoal grills. Made from freshly ground spice incorporating 4 types of chillie. However can also be used for other imaginative variations. 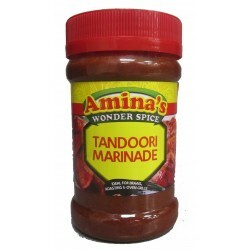 Tandoori Pour On Marinade (500ml). An easy to use ready-mixed masala, reddish in colour. Made from freshly ground spices, this tandoori marinade tastes best when cooked over an open fire or on a charcoal grill.